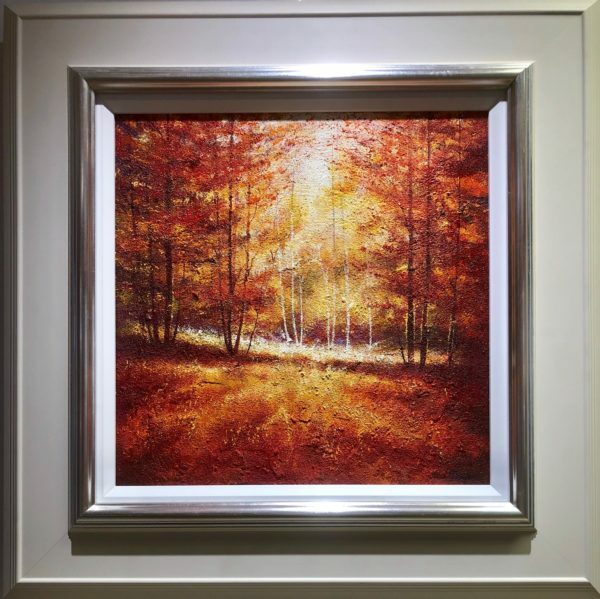 Autumnal Stroll, Framed Original Painting in Oil and Mixed Media by Steven McLoughlin. 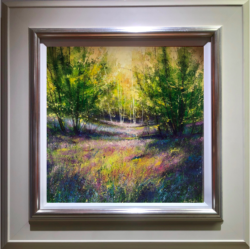 Working in oils and mixed media as a self-taught artist, Steven McLoughlin develops his work on location and finishes them back at his studio. The British coastline and countryside have been Steven’s inspiration for many years, taking him from locations including the Peak District and his home in Derbyshire to the East coast of Norfolk and Cornwall.